Flipkart Sale Honor 9N Offers: Honor India has been launched Honor 9N Smartphone on 24th July. You can buy Honor 9N in two variant 3GB/32GB at Price of Rs.8499, 4GB/64G GB at price of Rs.9499 at Flipkart. Honor 9N offers you a 5.84" Notch Display, Octa-core Kirin 659 Processor, 4GB RAM, 64GB/128GB Internal memory, Dual 13MP + 2MP Camera, 16MP Selfie camera, 3000mah battery and more. Limited time offer.Shop now! When is Honor 9N Next Sale? What Are the Available Honor 9N Sale Offers? How to Caim Your SuperCash? How to Claim Huawei Honor 9N Jio Offer? Does Honor 9N have Portrait Mode in Camera? Honor 9N Next Sale is 18th-21st September. Honor 9N will cost 11,999 on Flipkart. In Honor Next Sale, get upto Rs.2000 supercash on payment via mobikwik. Along with that get Jio 100GB 4G Data Plan offer. Buy Honor 9N in 2 new colours on Flipkart. Honor 9N next sale last for 3 days on Flipkart under Honor Days. Avail Extra Rs.1000 off on an exchange during Honor Days. Get 5% Off on EMI transaction with HDFC Credit Card. A few days back, Huawei launched its brand new mid-range smartphone - Honor 9N on Flipkart. In case, you were not able to get your hands on Huawei Honor 9N mobile phone at that time, then don't worry. In the next sale of Honor 9N on Flipkart, you can easily buy your dream at a discounted price. In here, you will get to know the date of Honor 9N next sale on Flipkart. Additionally, you will come across numerous offers that Huawei is presenting to the users during the next Honor 9N sale. If you are looking for Honor 9N Flipkart next sale, then your wait is almost over. Instead on Flipkart, you can get your hands on Honor 9N smartphone on the official Honor website during the Honor 9N next sale. Huawei has announced the Honor 9N next sale date to be August 23rd. On this date, you can grab on 3GB+32GB, 4GB+64GB, or 4GB+128GB Honor 9N smartphone without any hassle. Along with the discount, Huawei is present the users with additional offers on Honor 9N purchase. Therefore, you can win exciting cashback as well when you buy Honor 9N during the next Honor 9N sale. On purchasing Honor 9N smartphone from the official Honor website via Mobikwik wallet, users can avail SuperCash of 15% up to Rs.2,000 in their Mobikwik wallet. The cashback amount will be auto-credited to the user's Mobikwik wallet within 24 hours from the time of the successful transaction. No Honor 9N or Mobikwik coupon code is required to avail the offer. Users can utilize this SuperCash balance to make other transactions on Mobikwik at any time. 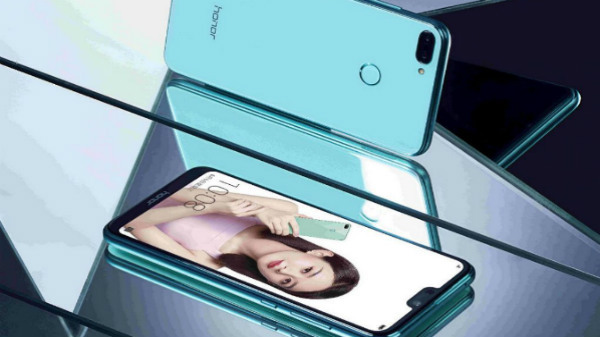 Purchase the Honor 9N smartphone from the official Honor website. Make your payment using your Mobikwik wallet before you checkout. The SuperCash will be credited automatically to the user's wallet within 24 hours from the time of the transaction. Pay with your Mobikwik wallet to get cashback of 15% as SuperCash to your Mobikwik account. Maximum cashback amount is Rs. 2,000. The offer is available for one time only during the offer period. SuperCash will be credited automatically to the user's Mobikwik wallet within 24 hours from the time of the successful transaction. If the order is cancelled or undelivered to the user, the refund would be initiated by Honor (not Mobikwik). The refund amount will be credited to the user's wallet within 7-10 business days. You can use the SuperCash to make other transactions provided the minimum amount is Rs. 500. On the purchase of Honor 9N, Huawei is offering 'Jio Cashback and Additional Data Offer'. In this offer, JIO network users can avail a cashback of up to Rs.2200, provided they have active JIO SIM. On inserting the JIO SIM to Honor 9N smartphone, the user will get Rs.1200 cashback. However, for this, the customer needs to perform a recharge of either Rs.198 or Rs.200 using MyJio app. This offer is valid for first time user only. Exclusive Myntra Offer - In addition to the Jio offer, Huawei is also providing a Myntra gift voucher worth Rs. 1200 on the purchase of Honor 9N. Eligible subscriber will receive the gift voucher from Myntra on performing the first recharge via Honor 9N 4G smartphone. Users can avail the “Jio cashback and additional data offer” after purchasing Honor 9N smartphone either from e-commerce websites or stores. After purchasing the smartphone visit the nearest Jio store, Jio retailer or Reliance Digital to get a new JIO SIM card. You can win an exciting cashback up to Rs.2200 after your successfully recharge your JIO number with Rs.198 or Rs.299 prepaid plan via MyJio app. This offer cannot be clubbed together with any other offer running on the portal. RRL/RJIO reserves the right to withdraw/cancel the offer without any prior notice or specific reason at any time. RRL/RJIO holds the right to change/modify/alter the terms and conditions of the offer without specifying any reason or prior notice to the eligible subscriber. RRL/RJIO shall not be held responsible for any damages, losses, issues with the eligible device. Users cannot transfer the offer benefits to other people. To purchase a new JIO SIM card, visit the nearest Jio Store, Jio retailer, or Reliance Digital. Does Honor 9N have Face Unlock? Yes , Honor 9N is compatible with Face Unlock. Yes, Honor 9N Front & Back Camera has portait mode. Honor 9N will be launched in India on 24th July with exciting launch offers just like nowadays many phones launches. We can expect some Bank discount, Extra exchange value and Mobile data offer on launch. Stay tuned for the official Honor launch & offers.